Located in the heart of the Hunter Region, the city of Newcastle is surrounded by a spectacular coastline with pristine beaches. It houses world-class wineries and offers a rich culture and history. It is also an eventful city, with something for everyone. 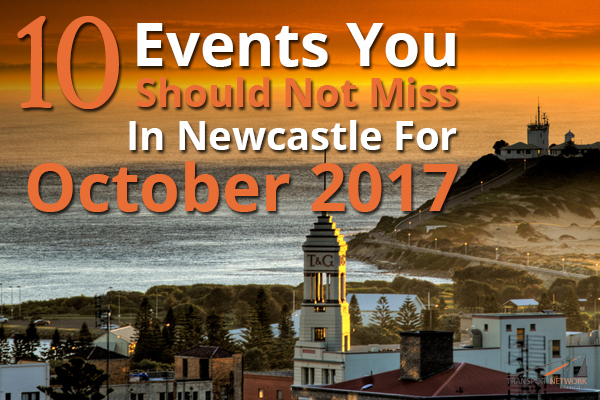 Choose luxury minibus hire in Newcastle to attend these October 2017 events! On the 3rd of October, Cessnock Arts Centre will be hosting a production, Room on the Broom, especially for the kids. The storyline is that of a witch and her cat flying on their broomstick when a wind strikes and blows apart the witch’s wand, bow and hat. A frog, bird and dog hop on the broom to help the witch find her lost things, but being unable to bear the load of five, the broom cracks in two. When the hungry dragon comes in the way, who is brave enough to save the witch? And will the broom ever have room for everyone? Watch this engaging production that is sure to leave you and your kids in awe! Dixon Park will be the venue for this year’s inspiring lantern walk, Light the Night 2017 in Newcastle, on the 6th of October. Once again you will be joined by Jaimie Abbott, with some great entertainment for the family. The walk will commence along the ocean front and everyone is invited to participate for a magical evening, with main objective of raising funds for Leukaemia Foundation. This is nothing like chasing barrels or roping calves. This is all about bull riding, where there is only one bull, one man and a time frame of 8 seconds. This 3-hour action packed event on the 7th of October at the Newcastle Entertainment centre will take you to the thrilling world of adrenalin junkie as they take on the furious bulls. This edge of the seat thriller will be a showdown like no other. 22 bull riders will take on as many as 52 bulls in an intense battle of agility and power. The whole proceeding will be choreographed with mega screen replays, concert sound system, lasers and pyrotechnics to give you the ultimate live bull riding experience. Immerse your senses with an evening of sophistication and elegance in a popular annual celebration of opera, food and wine at the Chateau Elan in Greater Newcastle. Spread across an area of 100 acres, this is a wonderful getaway with world-class facilities and charming views. Guests can enjoy lavish accommodation, dinner packages, spa and a wide array of pre-concert activities. Discover a delicious range of culinary delights, sample exquisite Hunter Valley chocolates and tantalise your tastebuds with wine and cheese tastings from local producers. Explore the art of scientific enquiry and discovery in this 4-part series to be held on the 16th of October, hosted by a science tutor from the University of New Castle, in association with the Region Library. This event is free of cost, and children aged between 9-12 years are perfectly suited, although parents can also join in! Want to live the glory days of the favourite pop act in the world? Beatlemania will be taking the centre stage on the 18th of October at the Civic Theatre Newcastle, to showcase a complete tribute show that will recreate the true Beatles experience for you. All their songs will be performed in their original key with exquisite attention to details, along with replica instruments and authentic costumes. With massive sold-out shows in Dubai, Canada, US and Hong Kong, this is a must visit event for all the Beatles fans out there. On the 20th of October, the Maitland Regional Art Gallery and Rotary Club invites you to participate in a fundraising event to what is going to be a musical feast for all the music lovers. A fabulous ambiance is guaranteed along with lucky door prizes, a baroque banquet, Tyrrell’s Wines and craft beer. You surely wouldn’t want to miss out four amazing musical performances by Quintus male vocal ensemble, Nillo Infants, Year 2 music class; Conservatorium of Music, String Quartet; Big Bam Boom drumming group. Come along with your friends and family and be a contributing hand for a noble cause. This one-of-a-kind festival invites people from the LGBT community, along with their friends and family to celebrate food, wine, and LGBT diversity and talent in its glorious form. Enjoy the Saturday night party on the 21st of October, as Central Coast local Daniel Turner and cute DJ Mason Andrews will be making you twist the hips. It will be followed by some Australian acts on Sunday, with people from the community showcasing their true spirit and value as a part of the society. More than 600 people gathered for the festival last year, and the number is expected to rise. It was 40 years back in 1977, when Alice Cooper went on his first Australian concert, breaking all attendance records. 4 decades have passed and he still continues to entertain us with his thrilling performances. This year, he will be joining forces in Newcastle on the 24th of October, alongside KISS “Spaceman” Ace Frehley, in what is certain to be the year’s favourite rock event. He will be displaying an immense body work even at this age, being an architect of Shock Rock that he is known as. Due to be held on the 28th of October, Clarence Town River Country Hoedown is a community based event powered by local volunteers, with an objective to stage a world-class music festival that includes a range of entertainment and activities for the local community as well as the outsiders. The main purpose is to create an ambiance, where avid music lovers, artists, families and residents can come together to enjoy sublime music. The line-up for this year includes the like of 24 Hours, Bill Chambers and The Viper Creek Brand.